When a single Azure Subscription Service has multiple roles (Web and Worker) in it, updates to the role cannot be selective. Time and again I have had scenarios where I wanted to update the one role but did not want to touch the other. 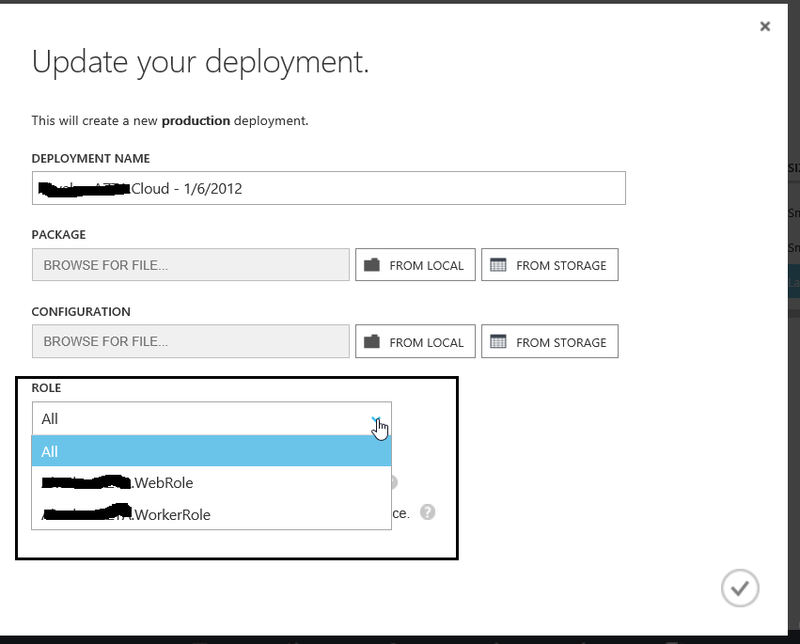 But as Azure deployment works, there is a single package and it updates all roles in the subscription. So now we can update specific roles without touching other ones. Great!!! Things to keep in mind here would be, once deployment is complete you cannot tell which role was updated and which is still running on a older version. But the deployment name does change. So i think this is a good feature for some quick fixes, else we should stick to simultaneous updates only.